When seeking the removal of a bee infestation on your property, the best possible solution is to work with a local bee keeper. Bees are absolutely vital for keeping the environment healthy, as plants depend on pollination to reproduce and grow. Miller Pest Control would be happy to put you in touch with a recommended and local bee keeper. 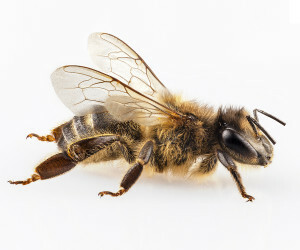 If a bee keeper is unable to perform the service, we can properly get rid of the bee problem for you. The most common health concern related to bees and wasps is stings, which may induce severe allergic reactions in some individuals.